"How can I boost sales without spending a dime?" "How can I increase my employee's motivation?" "How can I improve my store's atmosphere?" "How can I inspire to my staff to work hard?" "How can I increase sales?" You can do all of this with only one sheet of paper. Better sales, better atmosphere and motivated staff. There is only one purpose of the praise technique mentioned in this book, to increase sales. There is a direct connection between sales and the actions of your staff, showing appreciation and giving praise to your staff will vastly improve your shop and teams performance and in turn, sales. 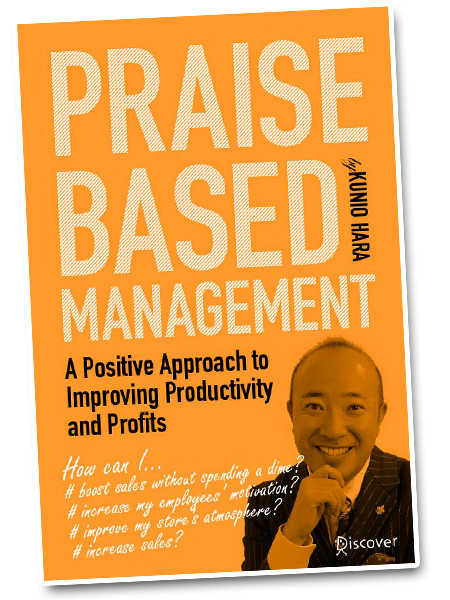 In this book, I explain how my Praise Education system helped over 60 publicly listed companies drastically increase their sales over a course of 3 years. No secrets, everything is revealed here.